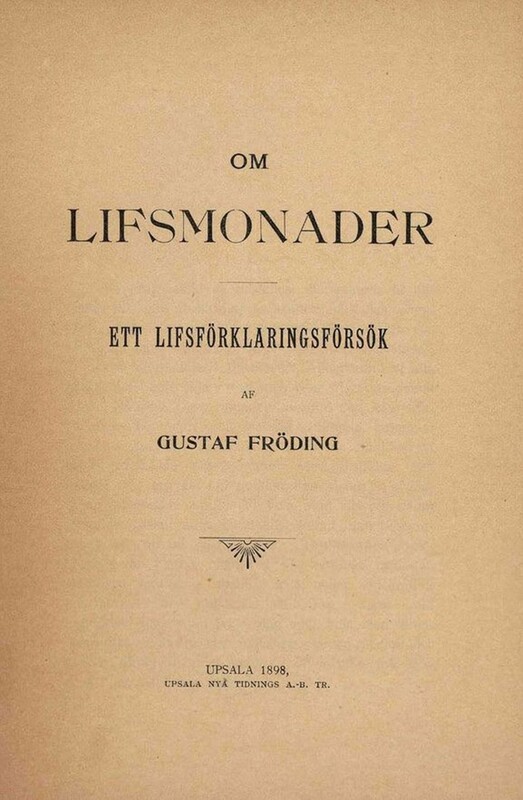 In the introduction to The Philosopher´s Stone, Swedish esotericist Henry T. Laurency writes: ”There exists a vast literature of which, amazingly, the general public appears to be entirely ignorant.” That this statement also includes most academic scholars becomes very obvious when reading Gustaf Fröding – och jag (Gustaf Fröding – and I) by the author Rolf Erik Solheim. 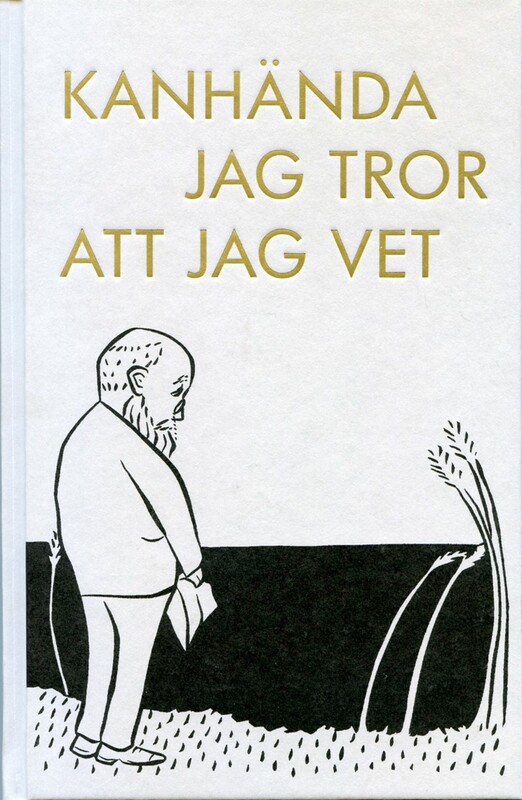 This is a pioneering work about the famous Swedish poet, an in-depth study of the lifeview and worldview of Fröding and how it relates to ideas in The Esoteric Tradition. Rolf Erik Solheim is a Norwegian engineer (M.Sc. ), writer and lecturer who, besides his interest in natural science and technology, for many years has been deeply fascinated by esotericism in literature. 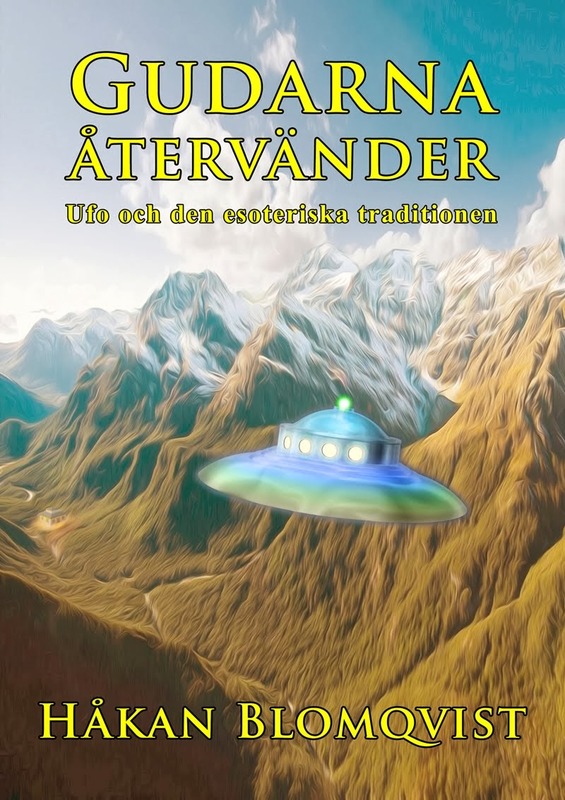 When in the Spring of 2013 he, at a hotel in Värmland, found the book Frödings mystik (Fröding`s Mystique) by Olle Holmberg, Solheim ”borrowed” this volume and it was the beginning of a long journey of discovery. Very early on in his research Solheim realized that almost no writer or academic scholar had studied the worldview of Fröding, nor had any understanding of its foundation and sources. Solheim regularly update his findings at the website, Framtiden är din (The Future Is Yours) created together with his wife Anne. 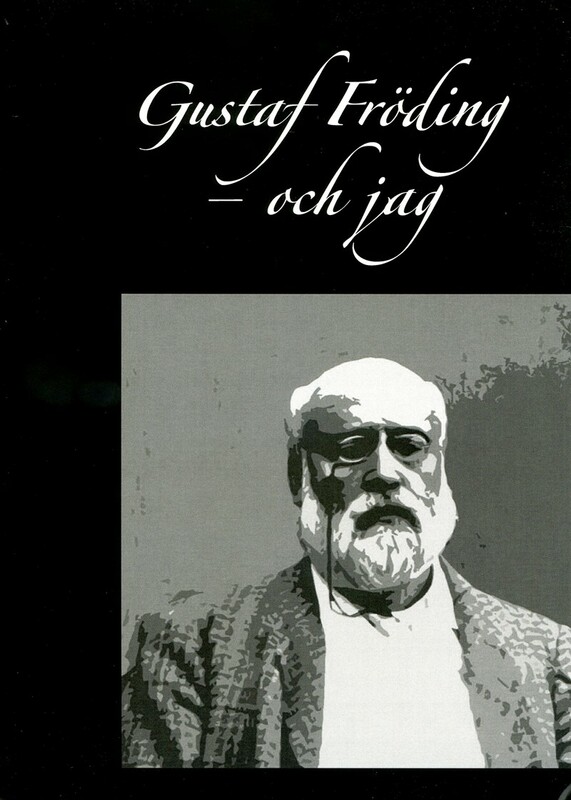 In 2016 Solheim published a summary of his research in the yearbook of the Gustaf Fröding Society now later extended in the latest work Gustaf Fröding – And I. The title has been changed several times as the author also wished to include how his own spiritual search has been affected by this study: ”The journey with Fröding is also a personal journey where I narrate how I wrote the book and how the established Fröding scholars regarded my project almost as a molestation of the mainstream view of Fröding.” (p. 19) Since the Olle Holmberg study, published in 1921, no in-depth study has been made of Fröding´s esoteric worldview. Solheim found out the hard way that all writers including academic scholars are metaphysical illiterates. Hopefully this will change because of the renaissance of academic interest in the once taboo subject Western Esotericism. It is slowly been recognized that The Esoteric Tradition is the third intellectual force or pillar in cultural history besides religion and science. Gustaf Fröding spent the latter part of his tragic life at different mental institutions and hospitals. His most precious possession during these final years was a portrait of Goethe. His friend, poet Erik Axel Karlfeldt, visited Fröding and noted: ”Goethe´s ´Geist´ was to Fröding something much more than spirit in the ordinary sense, an all-consciousness. In his Graal poetry the Divine Spark, which according to Fröding exist in every human being, is connected to this all-consciousness.” (p. 46). This deep attachment to Goethe reveal a spiritual affinity as Goethe was a member of the secret Rosicrucian fraternity which he disguised as The Fellowship in the Tower in his second novel Wilhelm Meister´s Apprenticeship. An important discovery was made by Solheim in the Fröding archive at Uppsala University Library. Among the 133 volumes many are filled with notes and comments by Fröding himself, especially in the collected works of philologist and Orientalist Max Müller. The comments give many clues to Fröding´s worldview and spiritual quest. When Solheim found these comments he took no less than 600 pictures as reference to his book. Of interest is that one book in the Fröding archive is the Swedish edition of Theosophist Alfred Percy Sinnett´s Esoteric Buddhism. 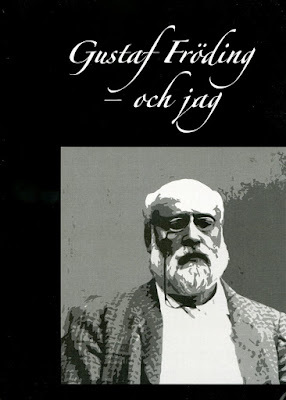 Gustaf Fröding wrote three small booklets presenting his worldview. The most important bears the title Om lifsmonader. Ett lifsförklaringsförsök (On Life Monads. An attempt to Explain Life), privately published in 1898. The idea of the evolution of consciousness that Fröding tried to formulate in his booklets was usually misunderstood or completely ignored by later scholars and writers, revealing their ignorance of The Esoteric Tradition. Solheim give many examples from literary reviews and books how mainstream academics viewed these works, often referring to Fröding´s mental illness: ”balmy”, ”a curiosity”, ”hocus pocus”, ”reduced capacity for reasoning power”, ”a low point in Fröding´s production” etc. A major part of the book consists of Solheim´s quotes and references to various historical and contemporary authors who from different viewpoints discuss the same ideas and problems as Fröding. Here we find Plato, Pythagoras, Leibnitz, Goethe as well as Roger Penrose and Max Tegmark. But there is also a few quotes from esotericists Roberto Assagioli and Henry T. Laurency. This may be a bit confusing to the reader as there is no summary of the basic ideas in the core Esoteric Tradition – Helena P. Blavatsky, Alice Bailey, Henry T. Laurency. 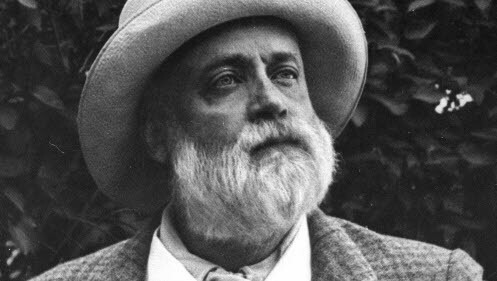 Italian psychiatrist Roberto Assagioli was the founder of Psychosynthesis but also secretly a disciple of the Tibetan adept who dictated the works published by Alice Bailey. Regarding his connection to the Tibetan, Assagioli kept a strict ”wall of silence”. Three pages are devoted to Pythagoras and hylozoics with some short comments on the writings of the erudite Swedish esotericist Henry T. Laurency. To fully understand the unique contribution of Laurency to esoteric philosophy, a more extensive chapter should have been included. Especially as Solheim recognize Laurency as an expert esotericist: ”If Fröding had known that the worlds foremost monad thinker a few years after his death would study philosophy at Uppsala University he had possibly asked the All-Consciousness permission to live a few more years to meet him.” (p. 208). Henry T. Laurency studied philosophy at Uppsala University in the beginning of the 20th century. These few critical comments are not meant to dimish the importance of Solheim´s work. Hopefully new generations of scholars will continue this line of investigation and fully realize how ideas in The Esoteric Tradition has influenced our culture. 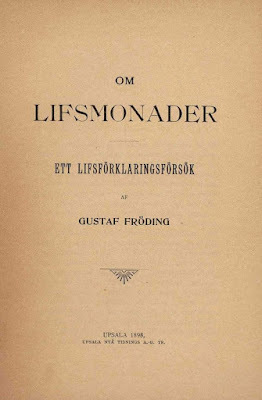 Gustaf Fröding´s contemporary author Selma Lagerlöf was also very much influenced by esotericism, which fortunately several scholars have discovered. Next in line is Gustaf Fröding and here Rolf Erik Solheim has laid the groundwork with his excellent and pioneering research.